Amazing frilly romantic victorian nightie, trimmed with wonderful lace for romantic nights and sweet dreams. The romantic nightie is available in many glossy colours and fabrics. The nightie is closed at the back on option at the front and has elastical sleeves for comfort. 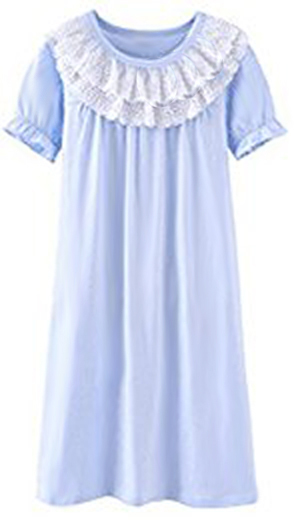 On the photo the nightie is shown in lightblue satin.